An indoor drag strip has yet to be built and it’s unlikely one will surface anytime soon, if ever. Ergo quarter-mile performance enthusiasts and dragbike racers are regularly forced to endure long rain delays, scorching hot sun, dew and other unfavorable conditions over the course of a standard weekend-long event. Protection from the elements is vital. Portable Shade president Eric Hochstetler has an excellent solution. 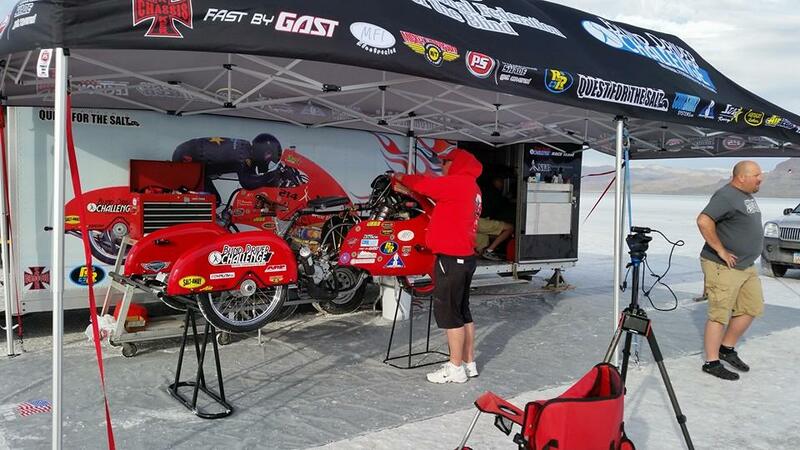 Hochstetler, who also runs legendary motorcycle drag racing company MTC Engineering, has been to hundreds of races and knows exactly how to prepare to handle Mother Nature’s cruelest treatment. Eric Hochstetler and Kelly Clontz under a great-looking Portable Shade canopy. Portable Shade makes the world’s strongest, easiest to set-up and best-looking canopies and accessories. It’s a first rate, one-of-a-kind, unparalleled product. Portable Shade makes some very slick accessories to show off logos like this pop up. 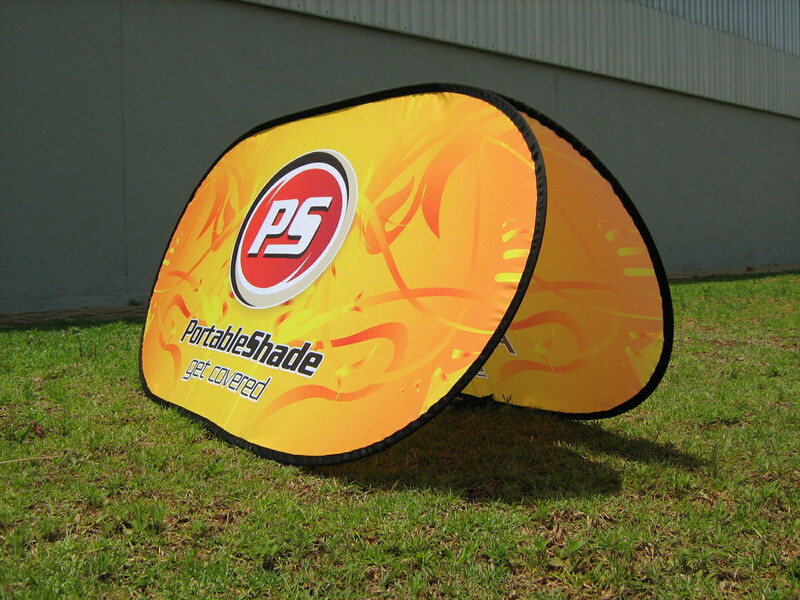 What really sets Portable Shade apart is the unbeatable recognition it can provide to a team’s logo and sponsors with brilliantly vivid and striking artwork. 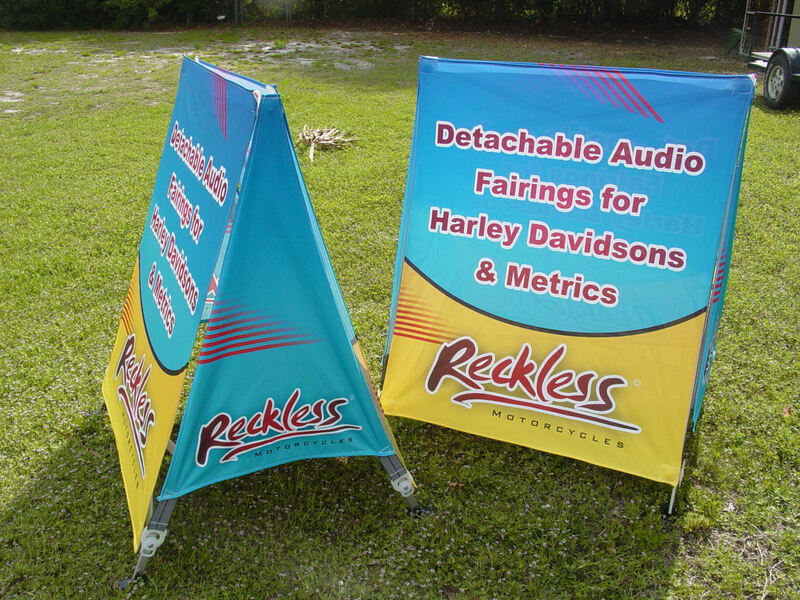 Portable Shade’s very cool signs look great in the pits or at trade shows. Better yet, Portable Shade will help with the design and layout of the artwork free of charge. 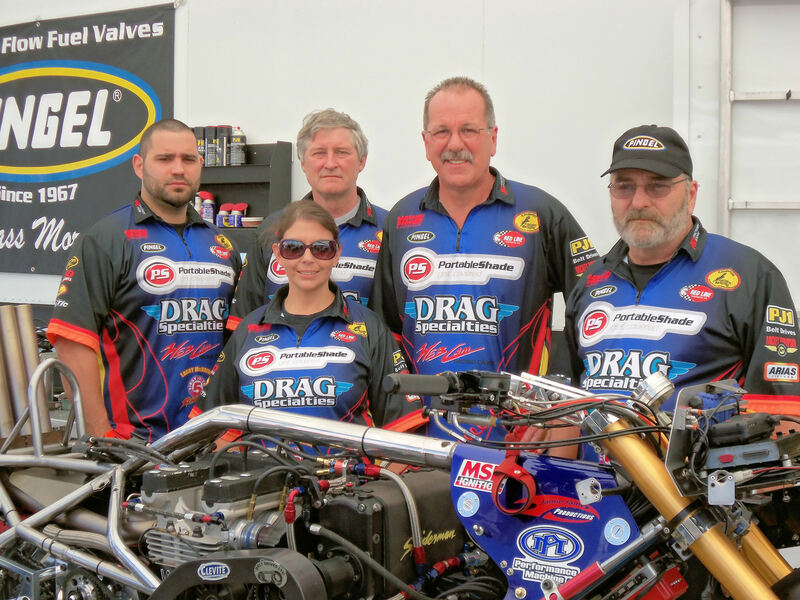 Top Fuel Motorcycle world record holder Larry “Spiderman” McBride and his crew wear Portable Shade team shirts. Adding to the unsurpassed strength and protection from the elements, mechanically inclined racers will appreciate Portable Shade’s advanced engineering and construction. There are no rivets on the legs and everything securely screws together. It makes it very easy to replace parts or quickly tear down further if needed. Highly engineered Portable Shade Canopies can be found in use in all forms of motorsports. 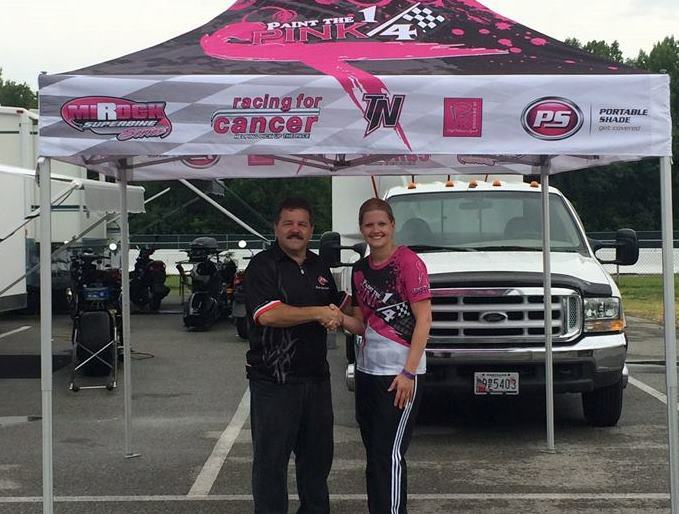 With the dragbike world coming off a grueling soggy-to-sunny Mancup race in Memphis in June, Hochstetler understand exactly what racers need to survive a weekend in this unpredictable and sometimes unforgiving outdoor sport. 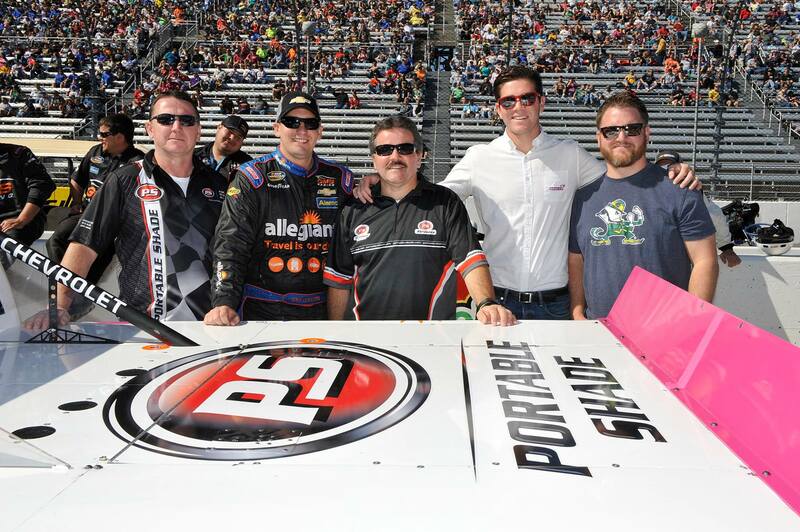 Eric Hochstetler and Portable Shade representing at the Kroger 200 at Martinsville Speedway in Martinsville, Va. 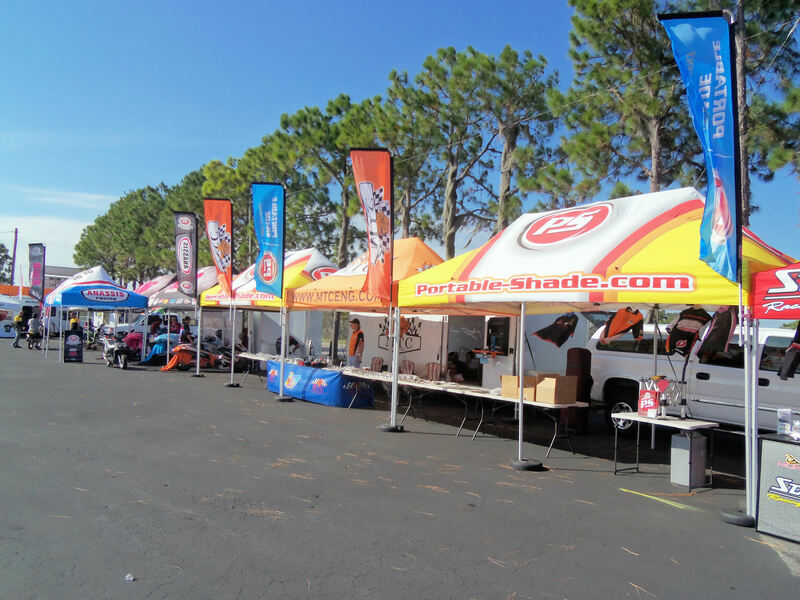 When it comes time to protect a very expensive motorcycle and tools in a storm a Portable Shade canopy can quickly become one of the most valuable pieces of a racer’s operation. 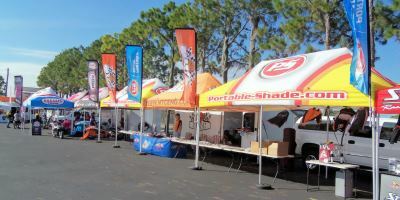 Check out the Portable Shade website, give them a call and mention this Cycledrag.com article to see what special promotions and discounts are available.